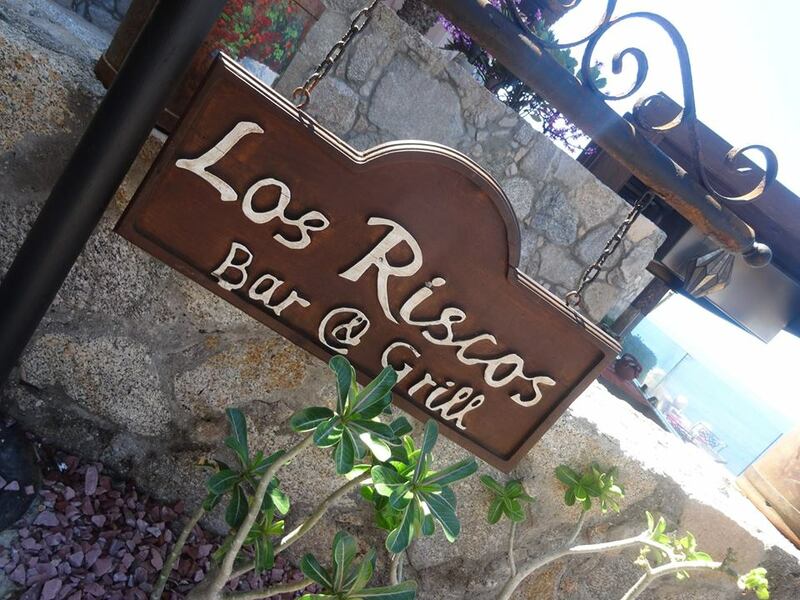 Los Riscos Restaurant and Bar, a fine dining restaurant at Hacienda Encantada, is a place that ups the ante in terms of scenic beauty. 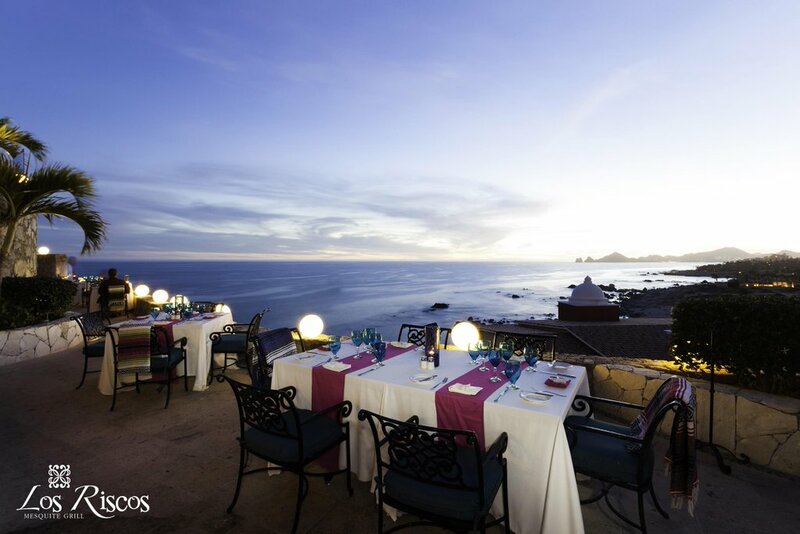 Located on the cliffs at the resort, Los Riscos (the crags), is carved into the hillside high above the water, with spectacular views of the Sea of Cortez and all the way to the lights of Cabo and El Arco. 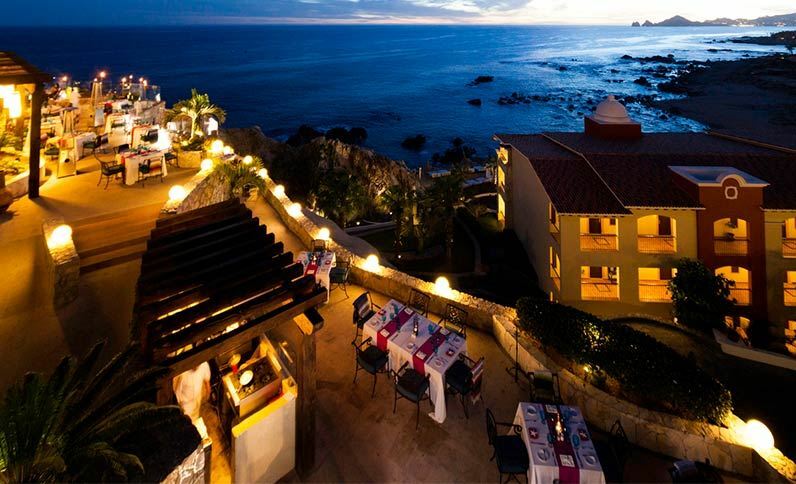 From its promontory position it offers one of the most breathtaking views in all of Los Cabos. 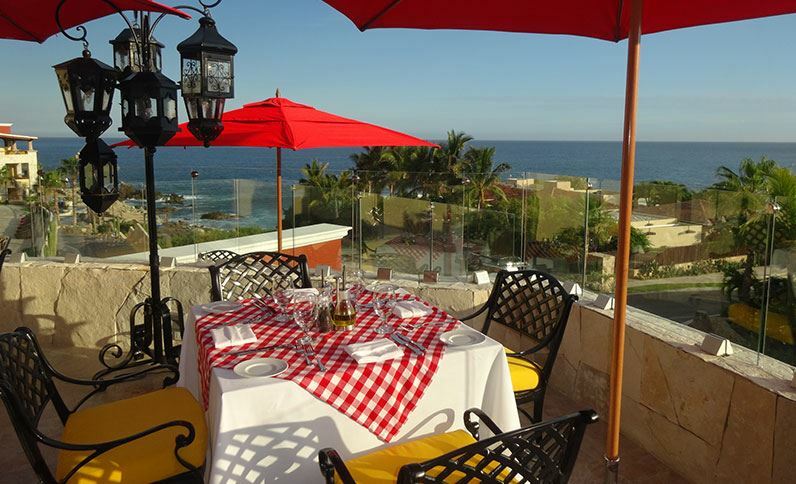 It’s a place that can enhance any dining experience just by providing an environment that is romantic, inspiring and highly memorable. 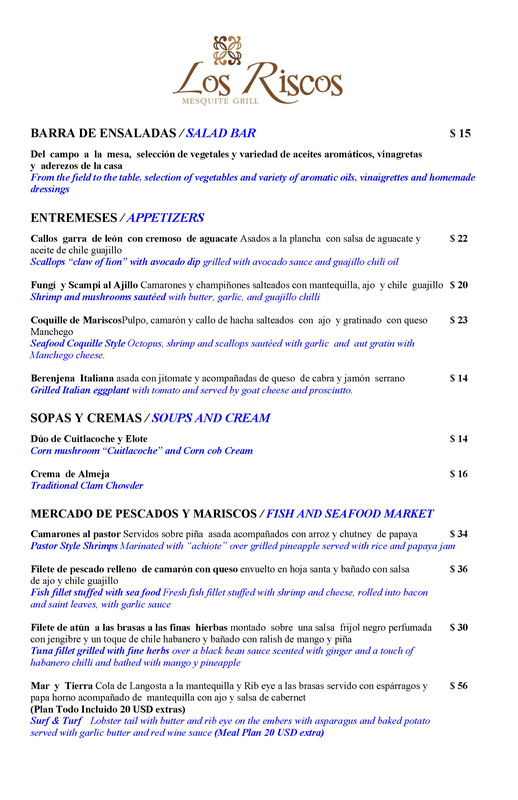 Eat here and it’s an experience you won’t forget. 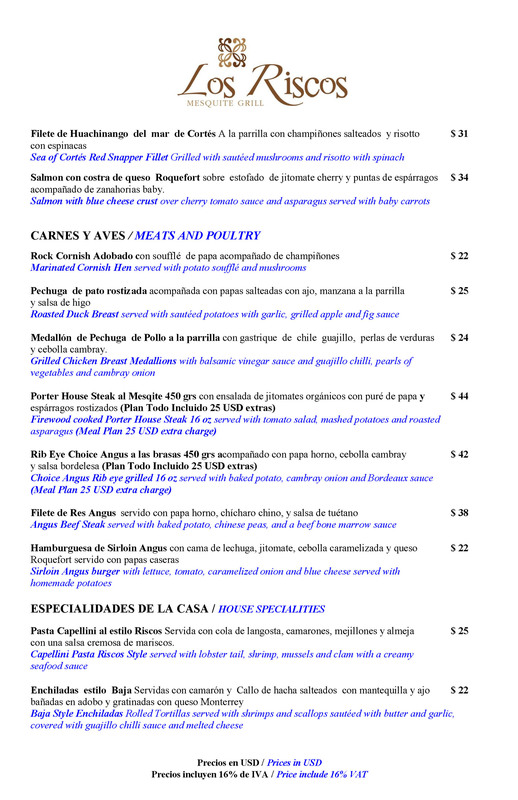 Schedule: 17:00 to 23:00 hrs.